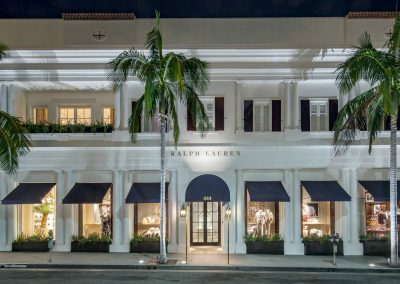 Gruen Associates worked with Ralph Lauren to reopen the latest Beverly Hills boutique at 444 North Rodeo Drive in Beverly Hills. The 22,000-SF West Coast flagship is a masterpiece in the California Mission style of architecture. 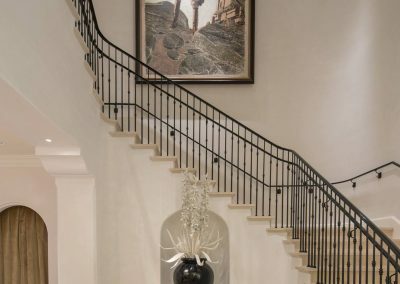 Finishes throughout are painstakingly selected for a handcrafted, timeless appeal. Many are faux-aged for an organic, weather-beaten or toughened quality. Beams are reclaimed and prominently feature the saw and chisel marks from their former life in the 100-year-old structure. 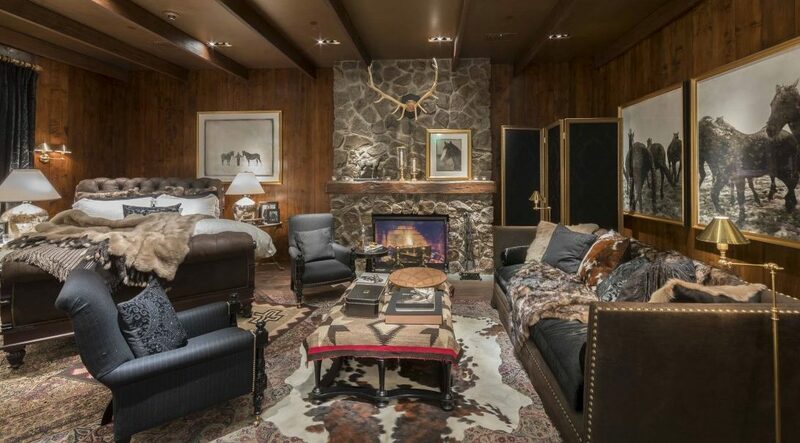 The ground floor features suites of rooms devoted to the entire lines of Men’s and Women’s ready-to-wear apparel, watches, fine jewelry, bags, sunglasses, accessories, footwear and fragrances. VIP lounges are furnished with plush seating and private dressing rooms. All products are equipped with RFID technology to automatically track inventoried items. The Beverly Hills store debuts their latest interactive technology, which allows the shopper to customize a Ralph Lauren bag, virtually. Selected options are rendered on a large monitor and the specifications are sent to Italy where the bag will be made-to-order. 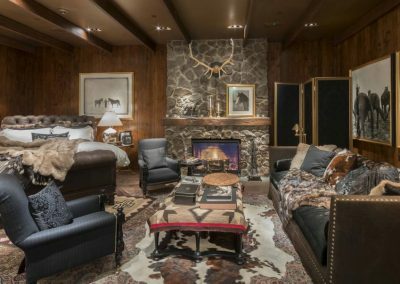 Showcased in a series of gallery rooms, the Home Design Studio encourages the customer to hand-select from samples of all the fabrics and materials that can be applied to custom-order furnishings. A fully-stocked pantry provides clients with their choice of champagne and branded refreshments from the Polo Bar.